I hate Nottingham because there’s always so much going on it makes it impossible for me to leave and get that dream house overlooking the Yorkshire Dales that my heart claims I desire. This Saturday sees the Waterfront Festival bring a host of musicians to bars down by the canal as well as the beginning of the Sneinton Festival. There’s also a massive sandpit being erected in Market Square so that Dad’s can get pissed and pretend they’re in Skeggy while teenagers make phallic shaped sand sculptures in the rain. At 12 noon I’ll be offering my contribution towards distractions from shopping in the form of a mass flashmob to celebrate reading. 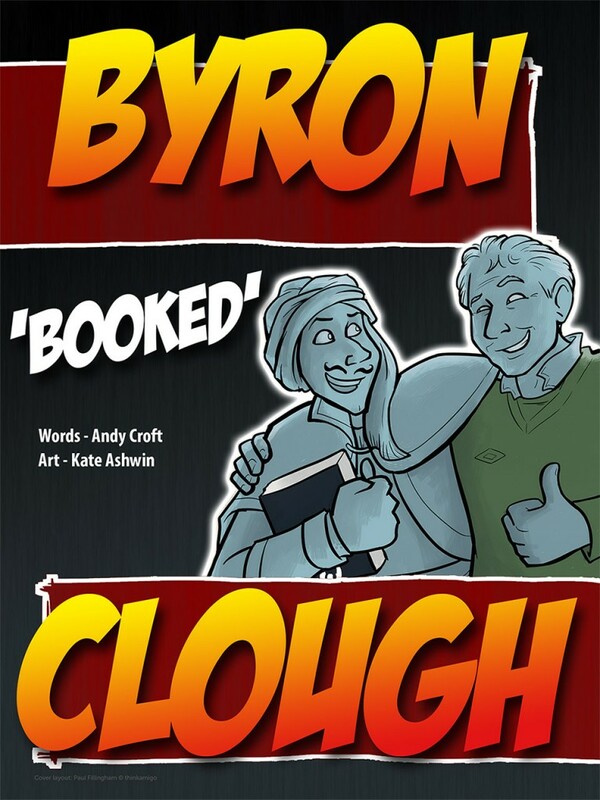 This is partly to promote Dawn of the Unread, an interactive graphic novel that brings back to life 12 writers from Nottingham’s past, and partly to show a bit of appreciation to the many authors, bookshops, libraries and publishers who have brought us joy over the years through the written word. Reading is often a solitary process and usually takes place alone on a bus, in a bath, behind a desk at work when the boss is out the office having an important meeting. But for five minutes I want people to be alone together, reading in one designated place: Old Market Square. Inspiration for this can probably go to Martina Conti’s choreography A Reading Sculpture, which celebrated the interaction between the human body and the book. She created this as part of WEYA in 2012 and is still the best artistic performance I’ve ever seen. A group of readers simply got out their books and then moved around a given space, reading in various positions. A Kama Sutra for book lovers if you like. 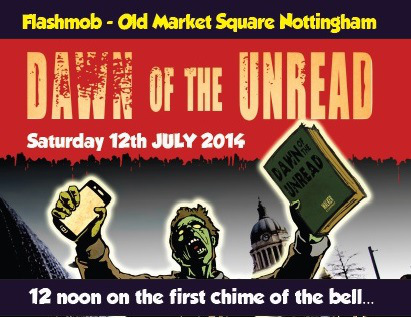 The flashmob is a joint collaboration between Dawn of the Unread, John Mateur and Robert Squirrell. We don’t want anyone to do anything contrived. Simply to turn up with a book, sit down on the first strike of 12 and then start reading. We’ve contacted all demographics from Mumsnet to asylum seekers to students and asked them to bring along a favourite or current book. My hope is to turn reading into a visual act, a kind of physical sculpture which hopefully will remind those who need to be reminded of the importance of stories in our lives. Please join us. Bring your Beano, Fifty Shades, or dirty Italian phrases handbook for that imminent summer holiday. We don’t care what it is as long as you’re reading. And if you miss the event you can catch me on NottsTV on Monday, around 6.30ish, waffling on about the beauty of books. This entry was posted in Just James by James. Bookmark the permalink.